At Oresky & Associates, pllc. we are known for our successful representation of accident victims throughout the New York metro area. If you've been injured due to some other person or company's careless or negligent behavior, we may be able to help you get compensation. At Oresky & Associates, pllc, we have fought for injured accident victims across the Bronx, Queens, and New York City Metro Area for more than 25 years. If you or a loved one has been injured in an accident because of someone else's negligence, you may be entitled to compensation for pain and suffering, medical expenses, lost wages and other damages. Don't allow an accident to cause more harm than it already has. Jacob Oresky is the founder and managing attorney at Oresky & Associates, pllc. The firm's practice focuses on representing New York City residents who need a construction accident lawyer or representation following car accidents, slip and falls, medical malpractice, wrongful death, and other incidents that cause injuries. He and his team of trial lawyers, paralegals, and support staff take cases from the very beginning through all phases of litigation and any post-trial steps that may be needed. 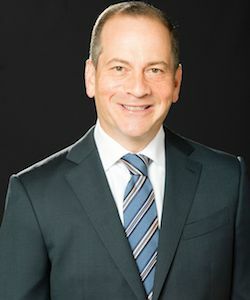 With 25+ years of experience as a Queens and Bronx personal injury lawyer serving people throughout NYC, Attorney Oresky has represented over 1,000 seriously injured victims and collectively recovered over $250 million in settlements and verdicts on their behalf. Committed to providing individualized representation, he personally meets with each client and discusses the best possible strategy to pursue according to the client's individual case.